I consider myself lucky to live in the beautiful city of Montreal and have gorgeous French architecture available whenever I schedule a photo-shoot. But I have to admit, there is something special about Quebec City and especially Old Quebec. Chateau Frontenac, the old tiny cobble streets, the citadel... All of it gives me a feeling as if I am traveling in time. 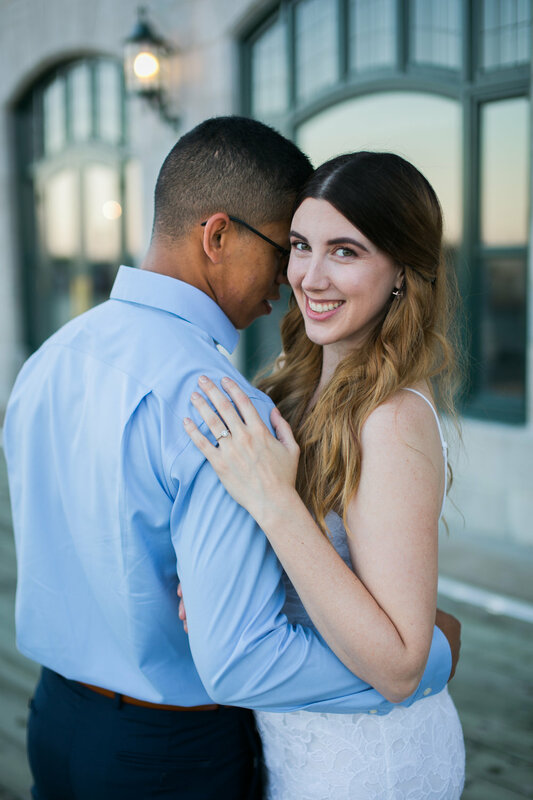 Brittany and Alex contacted me to shoot their wedding in Ottawa but when they mentioned that they live in Quebec City and would like to have their engagement photos there, I couldn't be happier. 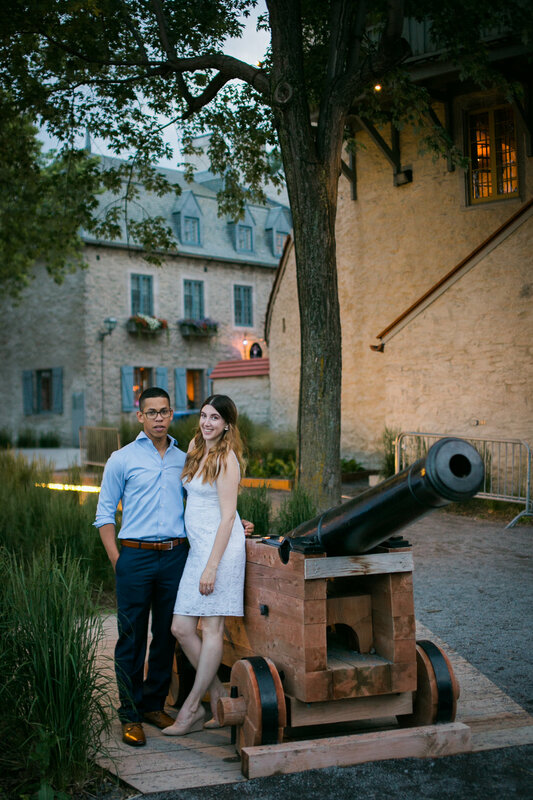 We scheduled the shoot on a beautiful summer Sunday knowing fully how popular Old Quebec is and that we would have to fight our way among all the tourists. 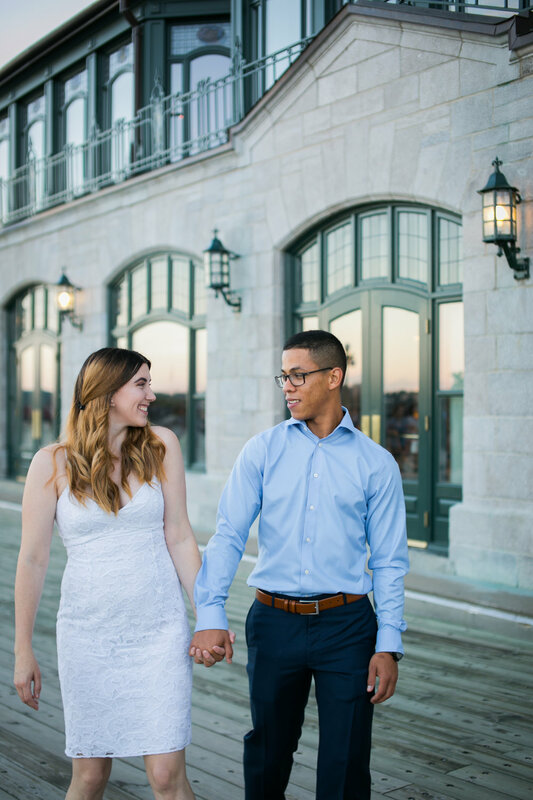 Brittany and Alex were super patient whenever we had to wait for tourists to pass by and were also all smiles whenever a tourist stopped to snap photos of them. 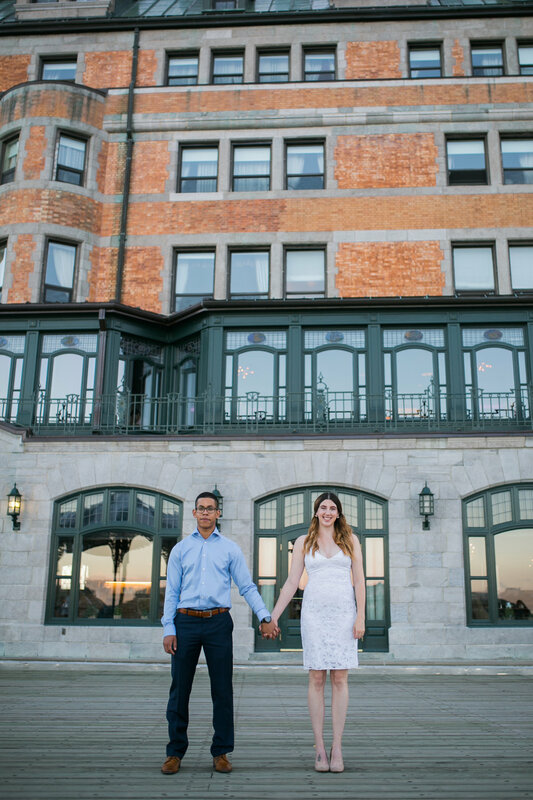 The couple came dressed in formal elegant outfits that perfectly matched the romantic and elegant feel of Old Quebec City. Brittany even brought a comfortable pair of sneakers to make walking through the cobblestone streets easier. 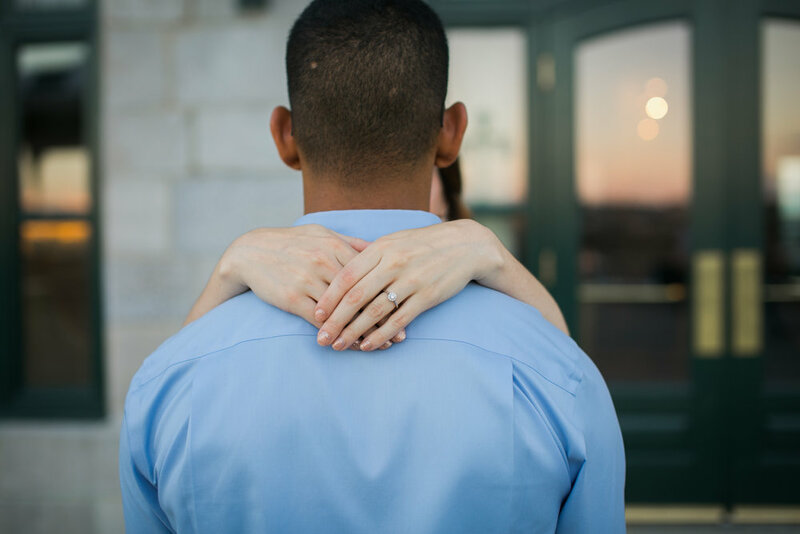 I had the chance to Skype with Alex and Brittany before and even though this was the first time I meet them in person, I felt like we had known each other for a long time. They were super comfortable in front of the camera and they understood my posing cues as if they have done this before. And this totally shows through their endless smiles and natural laughs in the photos. 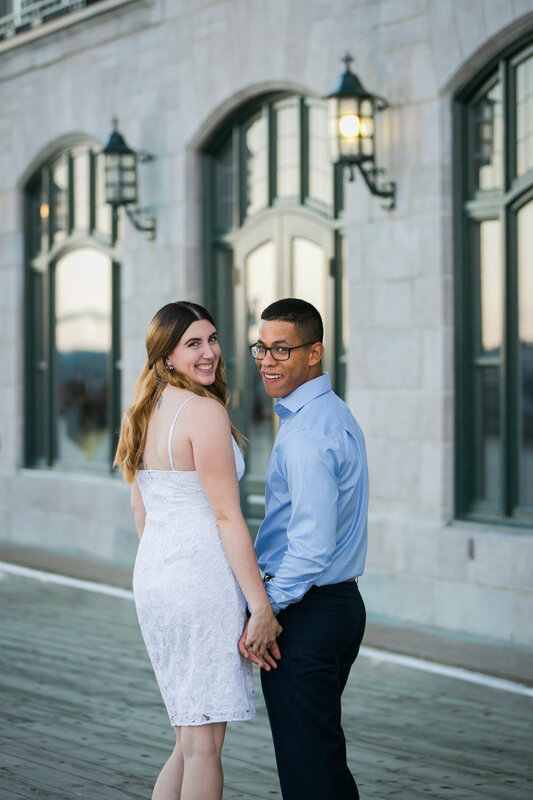 Brittany is originally from Ottawa and Alex from Niagara but their work united them in Quebec City. They both work in the military base there. 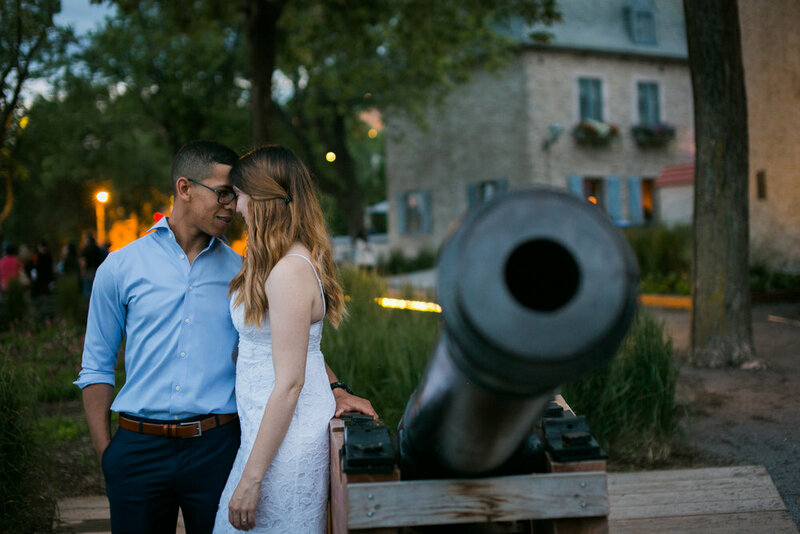 And to give an homage to the military part of their life, we wrapped up the shoot with a photo next to the Vieux Quebec canons facing he saint Lawrence river.